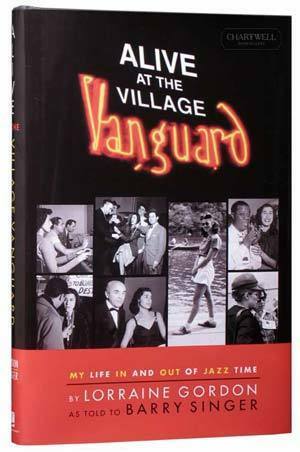 Lorraine Gordon lived more than a few lives: downtown bohemian, uptown grande dame, record business pioneer, wife, lover, mother and, finally - at a point when most women her age were just settling into grandmotherhood - owner of the most famous jazz club in the world, The Village Vanguard. It is this last fact that casts her life with a late-blooming significance verging on the inspirational. Because only after she had lived a good part of her life did Lorraine Gordon discover what she was in fact born to do. The trajectory of her journey was remarkable, the details, a Jackson Pollock-like swirl of fierce colors shot through with luminous creative figures - not just jazz figures but luminaries from every point on the political, social and entertainment spectrum. And yet, what truly distinguishes Lorraine Gordon’s life story is Lorraine Gordon herself. In many ways she was just an average person with an above average appetite for jazz; not a musician but a fan. Her love of the music, however, was unusually tenacious. Her life adds up to far more than just a jazz story. Yet it also constitutes, if only by inference, pretty much the story of jazz in the 20th century. Hers was also not solely a “woman’s story.” Yet it remains one of the more extraordinary and, yes, enlightening stories about one woman’s life in 20th and 21st Century America.